B.M.M.O. Consulting: NBA All-Star Weekend - Primetime Marketing! 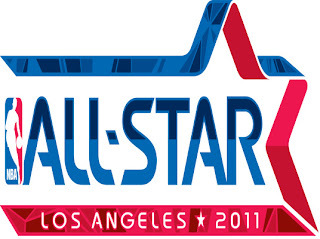 NBA All-Star Weekend - Primetime Marketing! For anyone who watched any of the NBA All-Star weekend festivities, there was an abundance of marketing and adversing going on. Did you notice? What brands stood out to you??? Well in case you missed them, B.M.M.O. Consulting will give you a replay of ones that were sure standouts! The most prominent brand that leads the pack was the NBA, but of course, its their event they had to be! They shined the light on the NBATV channel, they sent you to the web to do voting, once there, they had plenty of links to click to tune you in and even live streaming of events. NBA promoted it's self very well. Two other channels were hosts of NBA festivities, they were TNT and ESPN, both channels are already known for hosting NBA games so this comes as no surprise to have them televise these contests. Saturday night's events were big game players in the promotions game. From the KIA OPTIMA SX being used in the SPRITE SLAM DUNK CONTEST by BLAKE GRIFFIN and on Sunday the T-MOBILE MAGENTA CARPET to usher in guests, that's 4 brands in one sentence. That's just how jam packed the marketing game was. Lets not forget the half time performances that rocked the house. Rihanna brought Drake and Kanye West on stage to woo the crowd with her performance. The game ended with the West winning and Kobe taking home the MVP, but the East celebrated also, as Lebron made history as only the second player to get a triple double during the All-Star game. Chicago's very own Michael Jordan was the first to set this record. It was a jam packed weekend of fun. We hope you tuned in and saw all the fun, this by far was one of the best Slam Dunk Contests we've witnessed and we will be watching to see what the second half the season has to bring!